MarilynAnneCampbell.com: Inaccurate Realities #1 "Fear" is Available Now! 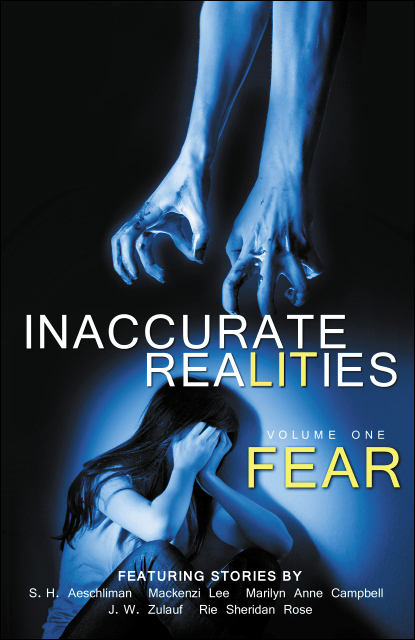 Inaccurate Realities #1 "Fear" is Available Now! My short story "Model Citizen" is about a first retail job gone wrong (like, earth-hangs-in-the-balance wrong), and it's now available in the first issue of a new speculative fiction magazine for YA readers, Inaccurate Realities. You can find Inaccurate Realities Vol. One: Fear on Goodreads, for list-adding, review-sharing goodness. And there are plenty of places to order a print or e-copy of "Fear" online. You can go directly through the good people at InaccurateRealities.com, or check out this blog post where they've collected the many links to places like Smashwords, CreateSpace, and Amazon. If you're in the Toronto area, there's a launch party for the magazine on Saturday November 9th from 3pm to 5pm at Bakka Phoenix Books (84 Harbord Street, off Spadina between College and Bloor). Check out the Facebook event page for details. Did I mention? The reason the launch party is in Toronto is because Inaccurate Realities is based here in Ontario! The creators have done a number of interviews about the project and how it got started, but I'm going to share the one they did with Canada Arts Connect when things were still getting off the ground, as that's what led to me submitting to them in the first place. Are you a YA writer? Check out InaccurateRealities.com for a list of upcoming issue themes and deadlines (And since it's unprofessional not to, be sure to check out some back issues before you submit. By which I mean the first issue. You know the one I'm talking about).